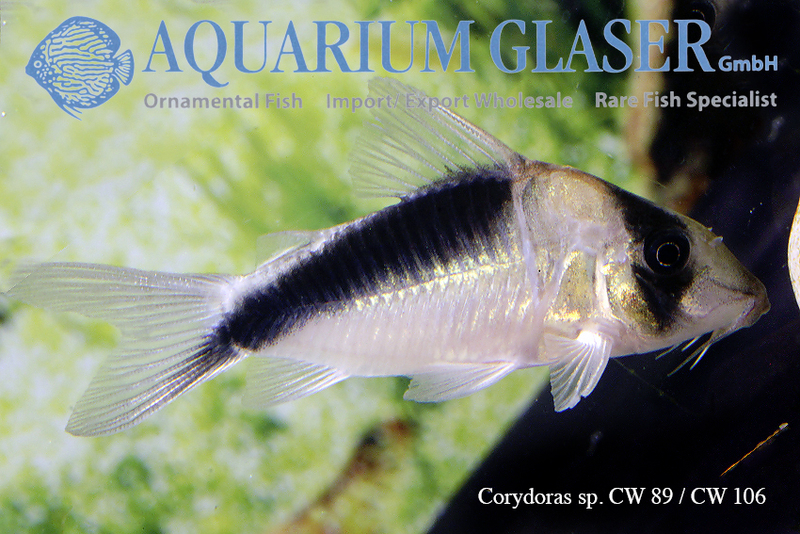 From the Rio Vaupes in Colombia we have received a few specimens of two Corydoras species. These are real rarities. 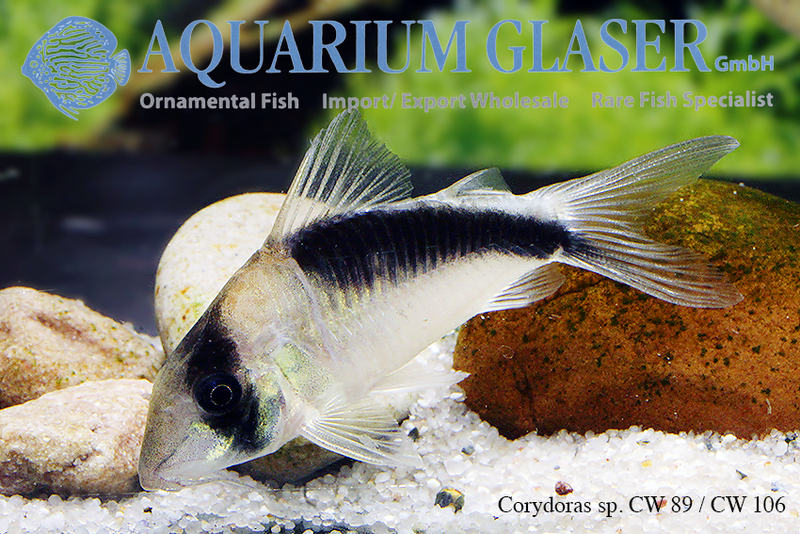 Corydoras sp. 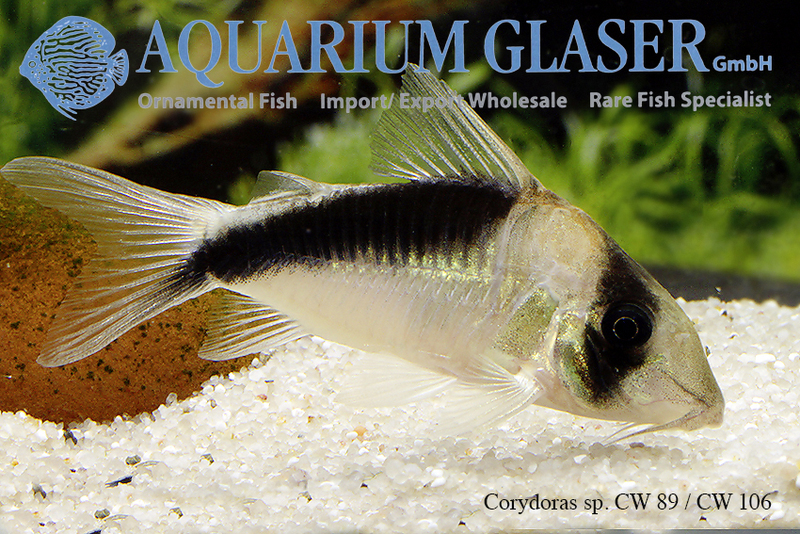 CW 107 reminds of Corydoras davidsandsi and we think it is the same species as Corydoras sp. CW 91. 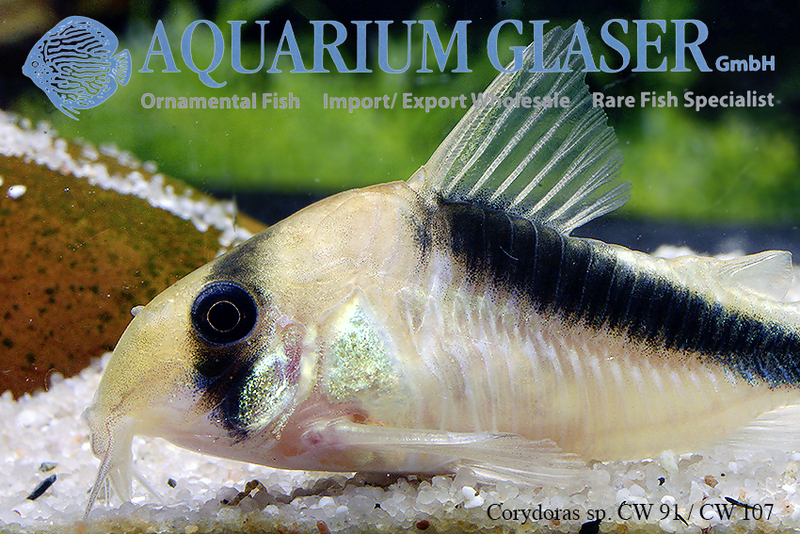 The long snouted counterpart of Corydoras sp. 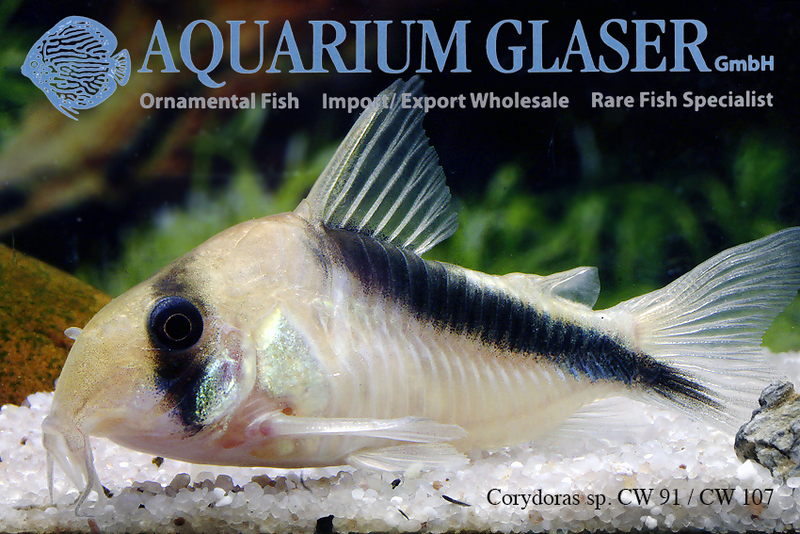 CW 107 is Corydoras sp. 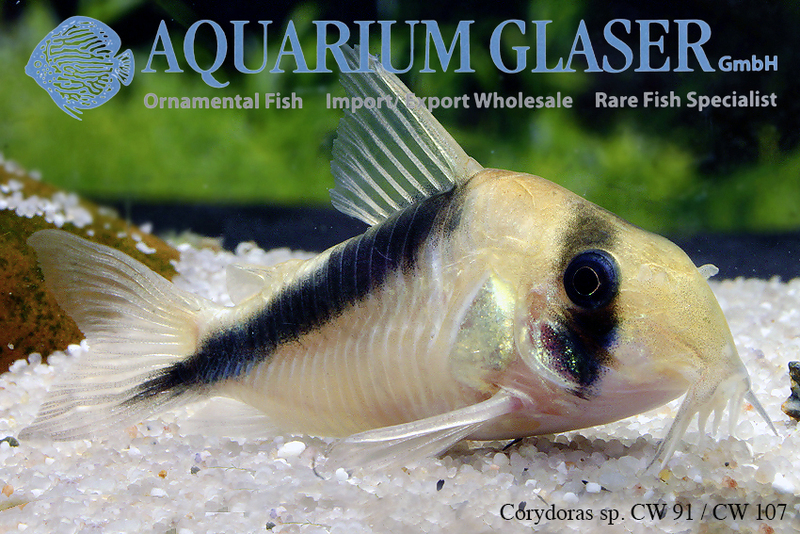 CW 106, which in turn should be of the same species as Corydoras sp. CW 89. In both species the dorsal band running into the lower caudal lobes is very typical. Unfortunately, these armored catfish are very expensive and will therefore probably not appear in larger numbers in the foreseeable future. But it is also very nice to know that they exist. 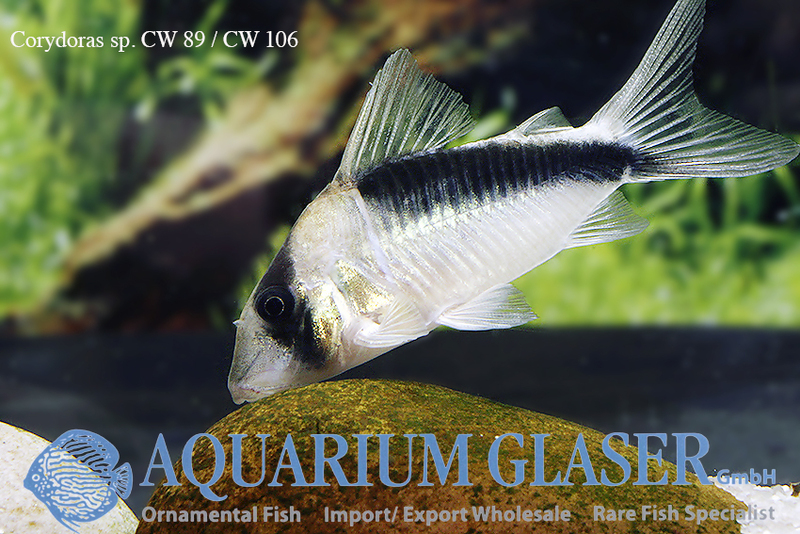 For our customers: CW 89/106 has code 236104, CW91/107 code 236114 on our stocklist. Please note that we only supply the wholesale trade. 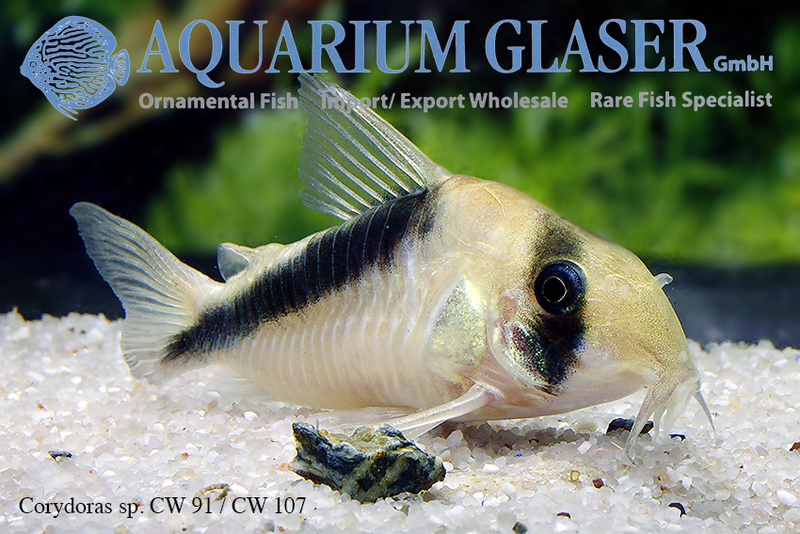 Only a few specimens available!